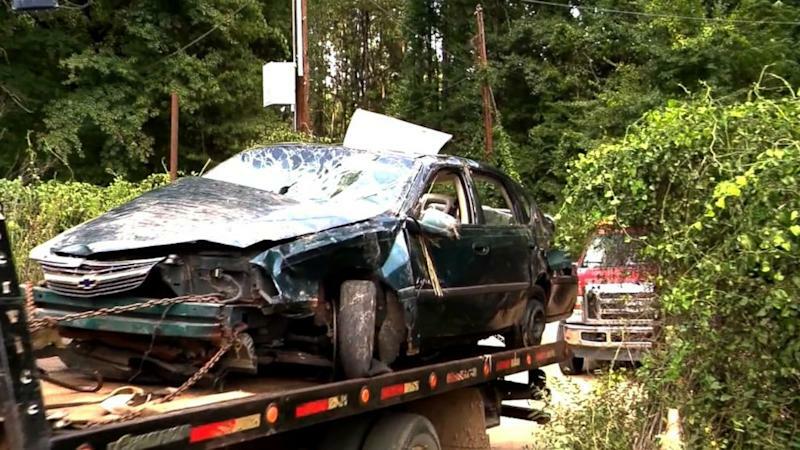 For several days, a 3-year-old child and his 1-year-old brother survived, alone and hungry, amidst the mangled wreckage of a car crash in Arkansas that killed their mother -- but miraculously spared her two kids. Local law enforcement officials expressed shock that the young toddlers were able to survive alone for so long -- and joy at the stupefying discovery of the tiny survivors. Ouachita County Sheriff's Detective Nathan Greeley -- one of the first officials to meet the 3-year-old after he was found -- said the child was found to have suffered some cuts and scrapes, but appeared most desperate for the comfort of human contact. The two toddlers were located and rescued on Monday, in an incident Arkansas authorities described as a "miracle." The 3-year-old was found wandering on a highway in Camden on Monday, and when members of the sheriff's department went to search the area where he was located, they discovered the car wreck at the bottom of a deep ravine, Greeley said. "Had not he done what he did, his brother probably wouldn't be here right now," Greeley said. Both children were taken to a local hospital and the 1-year-old was treated for dehydration.